Often visual disorders are noticed by shooters only if they do not achieve to get a clear target picture while shooting. It is essential for shooters to get a well-focused target image. In order to achieve maximum performance, best shooting results and optimum target picture clarity it is therefore necessary to compensate visual disorders such as short-sightedness (myopia) and long-sightedness (hypermetropia) as well as astigmatism. Up to now shooters could only use shooting frames in order to solve this problem. Gehmann now provides a cylindrical lens system which enables shooters to eliminate their individual visual disorders and imperfections. Our cylindrical lens system is able to compensate astigmatism and to balance size and optical axis of the eye. 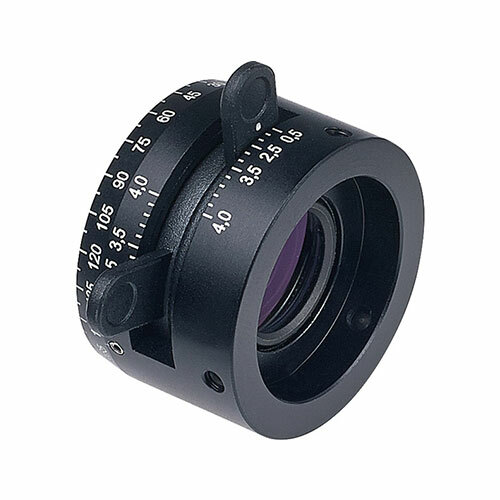 In combination with our magnifying diopter (-4.5dpt to 4.5dpt) for spherical disorders our product is now able to replace a shooting frame completely. An outstanding advantage of our innovative product is the individual adjustment of our cylindrical lens system to the individual imperfections of the shooter. Shooting frames have the disadvantage of having to buy a new lens in order to adapt to even small changes of defective vision. Vision depends on daily changing factors such as light level, fluctuations of blood pressure and blood glucose or stress-related factors. Our new cylindrical lens system provides the shooter with the possibility to balance small and great changes of your vision through simple adjustment. It is this individual adjustment possibility to make our cylindrical lens system superior to the use of a common shooting frame. We have 4 different CLS system with irises combo. Please choose which you prefer. When buying only the CLS system #579, you need to tell us for which Gehman iris number you will need the adaptor for. Please note, only one adaptor included. Theres 3 possible adaptor to fit the Gehmann iris. Please let use know which you will need. We now offer complet kit with iris. Please see detail below. You can have printed instruction (PDF) directly here. Will only work with Gehmann products. Will not fit any other brand of sight like Anschutz. Standard thread for all current precision target rearsights. Removable thread for retro-fit of our - 4.5 to + 4.5 magnifying diopter. Six optically flat glass colour filters which can be precisely located in position.